Bold botanicals in beautiful hues form the basis of our Adrian suite. Playfully feminine with timeless touches, this collection is made for a summer celebration with a floral focus and a feeling of daring delicacy. Partner with coloured envelopes and flawless calligraphy for the perfect delight on your guests’ doormats. We were over the moon with our delivery of invitations yesterday. They truly exceed our expectations. Love them so much! Stunning stationery. 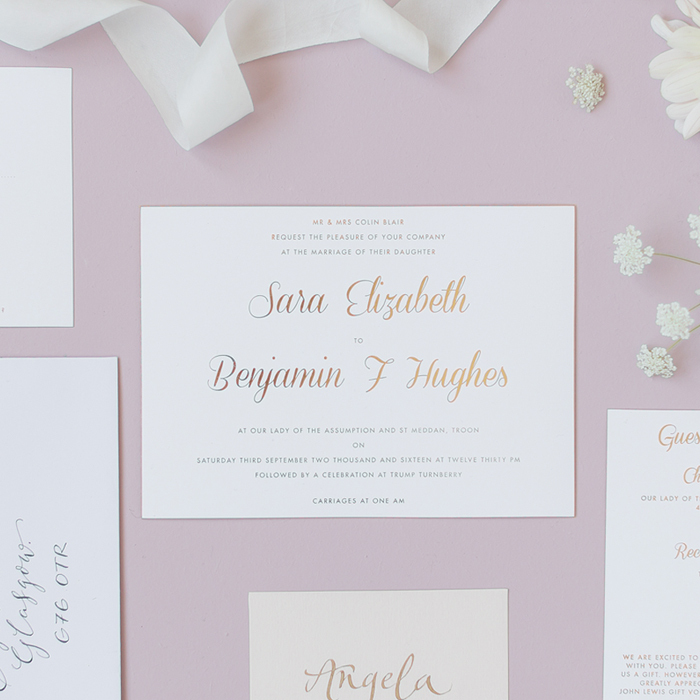 Think wedding stationery consists solely of invites? Think again. We can provide you with beautiful on-the-day stationery items to match your invitation suite. Orders of Service, Table Plans, Menus, Table Numbers, Place cards, Napkins, Favour tags and coasters, to name just a few. 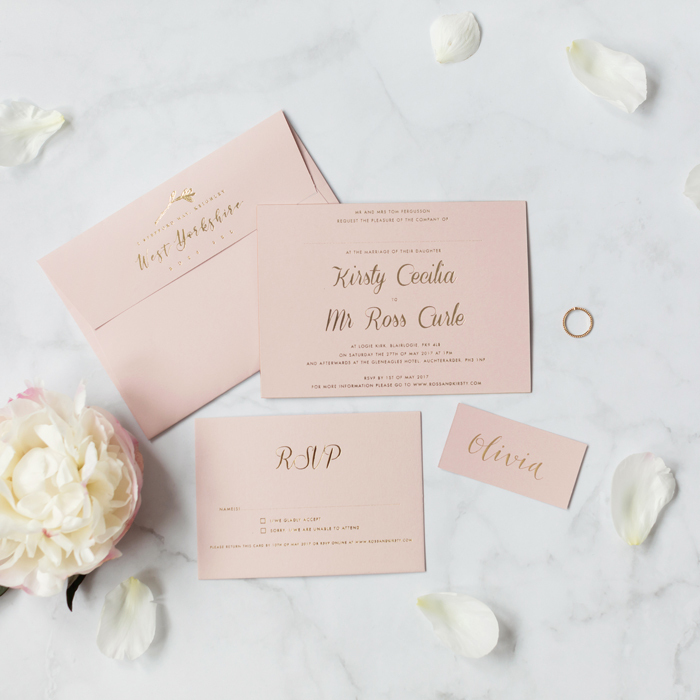 We have many glorious extras which can really give your Invitations some added Luxe. 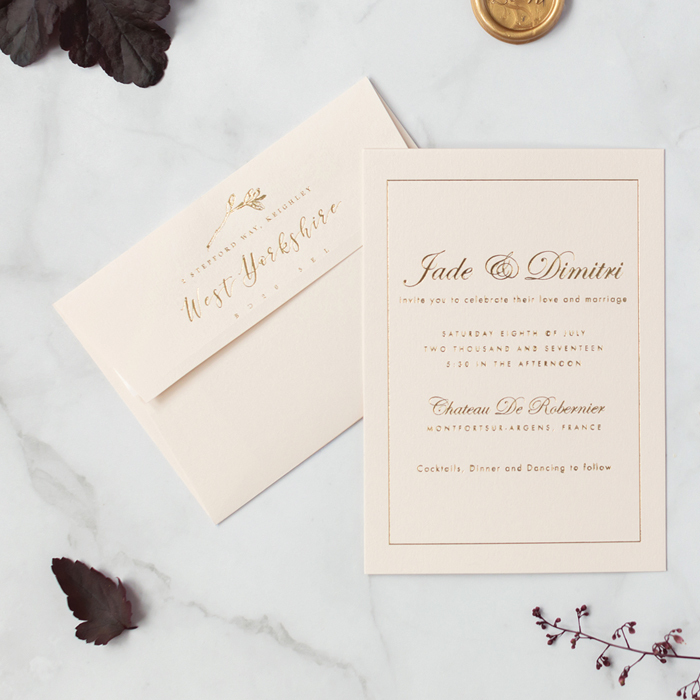 Think exquisite modern calligraphy or gorgeous gilt edging, divine envelope liners and custom wax seals. All of these added touches help to incorporate a truly luxurious and personalised element. Please complete the form below for a free quote and we'll contact you as soon as possible.